Integrity of Creation | M.Afr. A major international campaign unveiled on Wednesday, February 6, challenges the Pope to become vegan during the forty days of Lent, which begins in a month. If he accepts, the campaign launched by Million Dollar Vegan will contribute $1 million to the charities chosen by the Pope. You can read the full story, very complete, instructive and challenging in the French Catholic Newspaper La Croix. If you have no access, you can download here the PDF of the article (IN FRENCH).. In order to protect nature, Bishop Benjamin Ndiaye, Archbishop of Dakar, asked the Catholics of his diocese to use scarves instead of palms for the procession of Palm Sunday and the Passion of the Lord. In some parishes, the use of scarves in the place of palms is already nearly ten years old. But in almost all the other parishes of Dakar, the Archbishop’s message was not well received. “The people who are looking for the palms had already committed themselves to doing so,” commented Pierre Bassène, another Catholic. According to him, the instructions of the Archbishop of Dakar will be better followed next year. Here is a Way of the Cross prepared by the JPIC coordinators of the Missionary Sisters of Our Lady of Africa and the Missionaries of Africa for Lent 2018. You can use it individually for your own meditation and at your own pace. By default, the slides change every minute, but you can obviously force the progress. You must be connected to the Internet to view this slideshow. However, if you want to use it in community M.Afr. or parish, you can download the PDF version here. We invite you to take part in the 3rd Edition of the World Day of Prayer for the Care of Creation which takes place on September 1st. This day was introduced by pope Francis on August 6th, 2015. According to Pope Francis, “The annual World Day of prayer for the Care of Creation offers to individual believers and to the community a precious opportunity to renew our personal participation in this vocation as custodians of creation, raising to God our thanks for the marvellous works that He has entrusted to our care, invoking his help for the protection of creation and his mercy for the sins committed against the world in which we live.” We propose you the following elements for this special day. Zambia’s Catholic Bishops call for the protection of children. Zambia Conference of Catholic Bishops (ZCCB) president Archbishop Telesphore Mpundu has called for the protection of children and minors. Speaking on behalf of other Catholic Bishops of Zambia during the opening of one-day workshop on Child Protection held at Lusaka’s Kapingila House Monday, Lusaka Archdiocese’s Archbishop Mpundu described the statistics on reported cases of abused children as a tragedy. 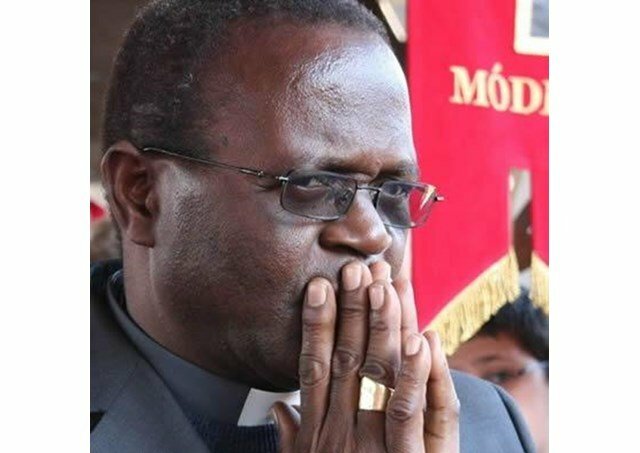 Archbishop Mpundu further called for the reversal of the situation and announced that that the Church stands in a singular position to spearhead the campaign.